Remote Village Struggles To Keep Identity While Cleaning Up Mine Legacy Cleaning up old mines is necessary but difficult work across the nation. That's especially true in a remote valley in Washington's Cascade Mountains. Tiny Holden Village is about to be flooded with hundreds of workers — there to clean up an old copper mine. The project is costly in more ways than one. HOLDEN VILLAGE, Wash. – Cleaning up old mines is necessary but difficult work across the nation. That's especially true in a remote valley in Washington's Cascade Mountains. Tiny Holden Village is about to be flooded with hundreds of workers ... there to clean up an old copper mine. As Correspondent Anna King reports, the project is costly in more ways than one. ... a three-hour boat ride up Lake Chelan. Norm Day, is the U.S. Forest Service manager heading the mine cleanup. Norm Day: "Forest Service departing Lucerne for Holden Village..."
He drives the last leg of the journey up 12-miles of heart-in-the-throat switchbacks. Around the final corner, Holden Village looks like one of those old-timey Christmas cards. Four steep peaks hug the valley. There are snow-dusted chalets, a tiny school. All built in 1937. But just beyond this picturesque place, up Copper Mountain, Norm Day points out the problem — the leftovers from two decades of mining. Norm Day: "This water coming out of the mine has a lot of the heavy metals in it. It's pretty, pretty contaminated water." 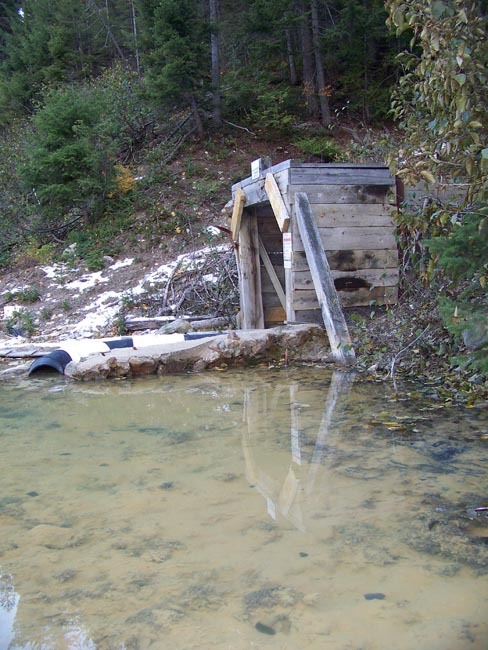 At the mouth of the old mine, water flows out from underneath padlocked corrugated metal doors. Anna King: "Whooooaaaaa! That is one of the creepiest things I've ever seen." There's about 60 miles of pitch black tunnel down there - half under water. All that rock was either reduced down into copper and other metals or discarded as rust-colored dust and black slime. There are several 12-story piles of that toxic guck just outside the mine. Water picks up heavy metals as it runs through these piles before heading into nearby Railroad Creek. It's bad for the things fish eat, and for the fish themselves. The plan is to build underground concrete barriers, some down 80 feet to bedrock. Norm Day: "We're trying to create a bathtub effect so we can collect all the dirty water and run it through a treatment system." A massive company, called Rio Tinto, now owns the mine. Managers wouldn't speak on tape, but did provide a written statement saying Rio Tinto didn't create this mess. Rather, it inherited the cleanup responsibility through a series of acquisitions. The current plan calls for about one-hundred-million-dollars. But the cleanup will cost more than just money. 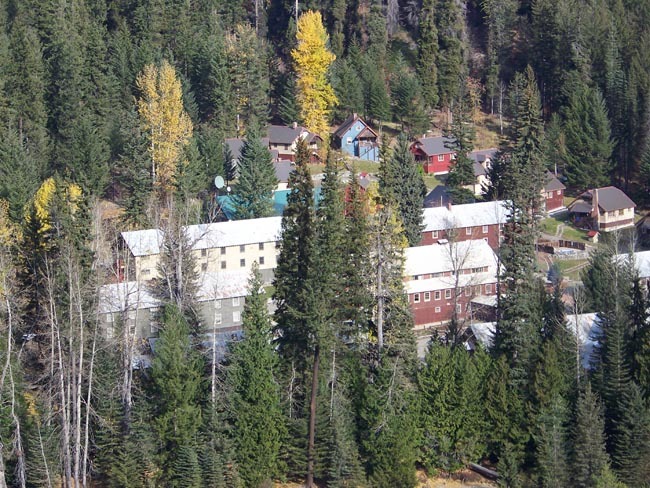 After the mine closed in 1957, the camp became a Lutheran retreat center. The year-round staff is about 60. The population swells to about 400 in the summers. For half a century vespers services, matins, bible studies and weaving classes have all been announced with a bell. What's new this fall, is the addition of about 60 mine cleanup workers. Convoys of dump trucks and other heavy equipment roll through town where there were once just convoys of deer. Every piece of equipment has to be brought in by barge. Just as the traffic is alien to the village, village life is alien to truck driver Mina Barron. Mina Barron: "I've never been that close to a deer without eating it. You know what I mean? Even the squirrels, it's just a peaceful feeling." But that peace will be interrupted even more in the coming years. By the spring of 20-13 as many as 400 mine cleanup workers will arrive at Holden for a two year stint. There won't be room for both the workers and the retreat center's regular guests – which raises concerns about Holden's survival. It'll have to be mostly closed down during that time. Chuck and Stephanie Carpenter are the village's co-directors. Stephanie says Lutherans are hardy, and they've got work projects of their own. And she says there are many people around the world watching out for Holden. Stephanie Carpenter: "Chuck and I and anyone who works here are buoyed up by this huge, huge body of people who are paying attention to this little tiny village in the middle of the wilderness." Even now, there's a careful truce between the villagers in tie-dye and crewmembers in bright-orange vests. People in hand-knit caps looking for spiritual renewal mingle with wage-earners in hard hats. Some of the workers can't wait to get on a plane back home after their 3-week rotations in town. But others start to blend in. Stephanie Carpenter recalls when three mine cleanup managers arrived in pinstripes. Stephanie Carpenter: "And one day they come walking into the dining hall and they had gone to the tie-dye class and tie-dyed their pinstriped shirts. And they're like yeah, we're going to wear them into the office on Monday morning." But Chuck says Holden life has led to more than just a change of clothing for some. Chuck Carpenter: "We have breakfast together, sometimes have a cup of coffee with someone. It's great listening to their stories, and their stories of discovering this place. And discovering what it's doing in their lives." 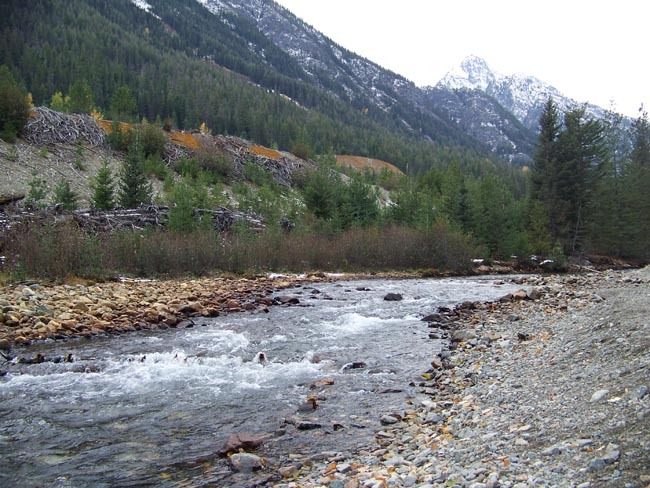 Holden Village is place of renewal, where people come to rest, reflect and in some cases heal. Now, the village believes despite the burden of cleanup, that nearby Copper Mountain and Railroad Creek deserve a time of rest and renewal as well. In Holden Village, Washington, I'm Anna King.